Need to turn that Two-Bedroom home into a Three-Bedroom? We know there are many reasons why homeowners could want room additions. Perhaps you have family members moving in with you, maybe you are expecting a visit from the stork, or maybe you simply need a place to serve as a home office or man cave. 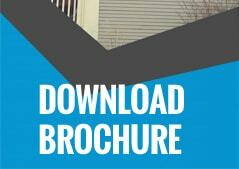 Best Windows, Inc. in Chicago is the answer to your addition and remodeling needs. In fact, we have the general contractors needed to help throughout the entire process – from designing to construction and finalization. Our team puts a focus on customer satisfaction throughout every step of the process. Not only do we use high-quality materials and provide workmanship you can be proud of, but we take your opinion of our work seriously. We will meet or exceed your every expectation. We can take care of the entire room, not just the interior! Our general contracting team can not only create the interior of the room itself, but they can also provide siding, energy-efficient windows and roofing to match your current exterior. Want a deck or patio added to this new room addition? We can help with that too! Create an entirely new and unique space, or have it blend in with the existing decor. 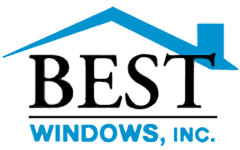 Best Windows, Inc. has been providing window installation and remodeling services for the Chicago area for more than 15 years. We are proud to be a long-term local company that has a reputation for providing high-quality installation services done by professional installers. It’s always wise to do your research, so we welcome you to view some of our past reviews. If you have any questions, comments, or would like to discuss room additions, contact us at any time. We’ll be glad to serve you.